When it comes to breaking world records or at least attemtpting to break world records, for some reason, a lot of tattooists are often behind various attempts. From my point of view, I can’t really understand the lure that these artists feel. I guess it is an accomplishment to have set the world record for amount of tattoos done in a 24 hour period, or something along those lines. But having done a lot of tattoos in a certain amount of time doesn’t exactly mean that you’re a good tattooist. It means that you’re a fast tattooist which is an entirely different thing. Whatever the motivations of the most recent world record attempting tattooist Jamie Holliday are, one thing is for certain: he’s doing it all for a good cause. On Saturday, August 27th at 11am, Holliday will begin tattooing the acorn emblem of the Acorns Children’s Hospice at Gods of Ink tattoo studio in Upper Thything, Worcester, UK. He will finish on Sunday, August 28th at 11am and hopes to have broken the current record of 802 people tattooed in 24 hours. 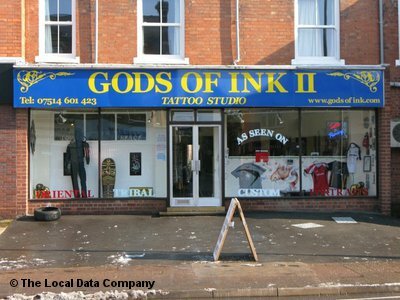 The tattoos will cost a minimum of £5 each, with all proceeds going to the Acorns Children’s Hospice. ‘Organiser Lisa Richmond, who runs the tattoo studio, is hoping the event will raise lots of money for the charity, which supported her son Ayden. The two-year-old, who died in 2005, had a rare genetic disorder which meant his body could not break down fats and was one of the first children cared for by Acorns in Bath Road, Worcester. Mrs Richmond, aged 33, said she had received a lot of support for the event already. Well, best of luck to Jamie Holliday on his world record attempt and here’s to hoping that many people show up to donate to this very worthwhile cause.